I've avoided getting sucked in to the dangerous world of TYPE-MOON fandom for the most part so far. 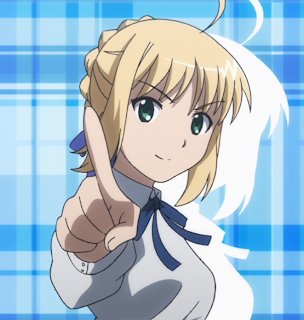 I enjoyed Kara No Kyoukai very much (and consider the controversial BD box set to have been money well spent) but the Tsukihime and Fate/stay night anime were merely average. The latter only became enjoyable when my favourite character made his debut towards the end. Actually, that's the main problem I have with TYPE-MOON projects; they tend to have much stronger female characters than males, and I end up finding it difficult to get drawn in as the weaker characters seem to get most of the screen time. 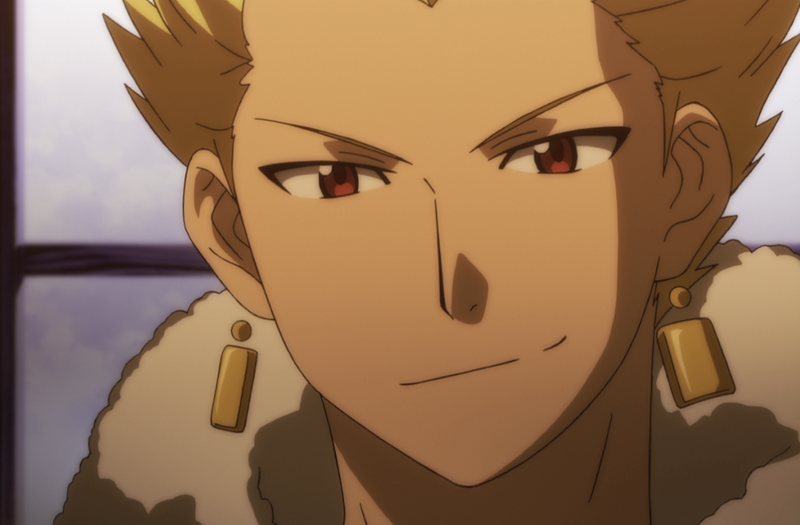 I have also since seen Fate/Unlimited Blade Works, which felt weak too (despite looking stunning). Last year though, I was able to enjoy the spinoff series Fate/Zero when it streamed on Nico Nico Douga, and I had to admit that the Fate universe was an interesting one when presented in the right way. 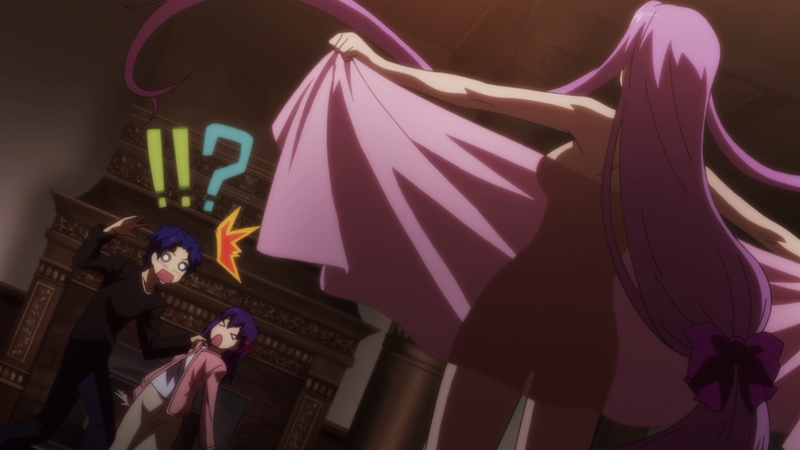 Which brings me to today's review: Carnival Phantasm. This is a completely ridiculous series of special OVAs, based on a gag manga spinoff of the TYPE-MOON universe. The bulk of the cast come from Tsukihime and the Fate series (I have to admit that I'm not familiar with a couple of the recurring characters at all). The series is well produced and full of energy, but what really makes it click is that it focuses more on the character interactions than its parent series, and through shameless self-parody it takes the viewer on a high speed tour of the worlds its characters live in. Carnival Phantasm doesn't skimp on its music, and the OP, Super Affection, has become rather famous on Nico Nico Douga as a source of endless parody itself. It's a collaboration from an all-star team of popular anime/game performers, and very catchy. In the OVA series it accompanies some truly charming animation which gets you in the mood for some silliness immediately. The ending is Endou Masaaki's Fellows, a rousing but considerably less hyperactive anison. Some of the characters whose roles in their actual series were quite understated get a chance to shine in this parody show, and the use of numerous running gags throughout the short episodes highlights their individual foibles. The Japanese-style gallows humour also allows for some brutal treatment of some fan favourite characters as well, which is always appreciated. Anything and everything is fair game for parody; Carnival Phantasm includes, among other things, magical girls, maid cosplay, game shows, television dramas, cookery and beach service. Carnival Phantasm hadn't had an English-language release to date, though if Section23 see their recent TYPE-MOON acquisitions performing well there's no reason to think that they won't try to pick it up in future. In Japan, the main series is available in three individual 'season' sets. 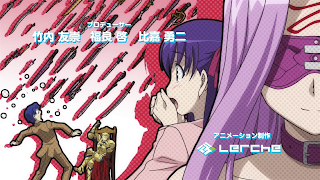 The special OVA episode 'Carnival Phantasm EX Season' is available as a DVD-only bonus item with the special edition of Takenashi Eri's Take-Moon manga.